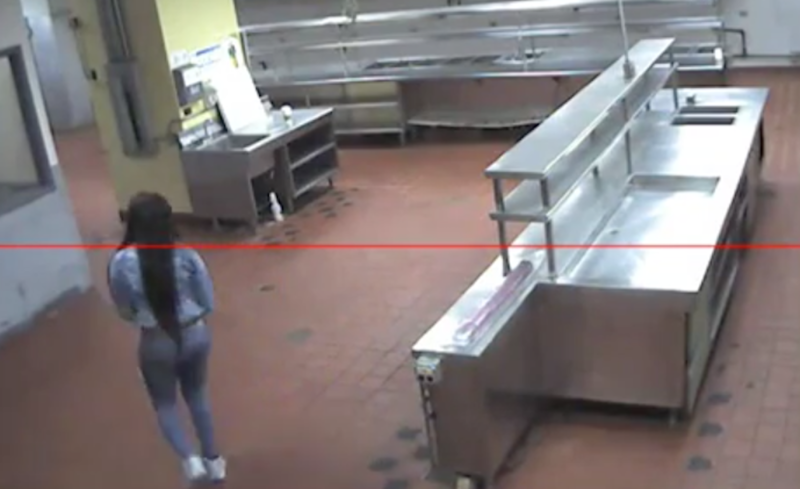 Authorities have released surveillance footage from a hotel in suburban Chicago where 19-year-old Kenneka Jenkins' body was discovered in a freezer last weekend. The teen was found dead early Sunday after attending a party at the Crowne Plaza Hotel in Rosemont. Her family previously said she went to a party at the hotel with friends late Friday night. Her friends called family members early Saturday morning to say they couldn't find her. Attorneys with the Rosemont Public Safety Department sent CBS News all surveillance footage that shows Jenkins on the night she went missing. She can be seen stumbling throughout the hotel's hallways as she bumps into walls and at least one handrail. At one point, she wanders inside the hotel's kitchen alone, where she walks out of the surveillance camera's frame. Authorities believe this is where Jenkins let herself into the freezer where she died. One attorney says the freezer opens with the push of a button. After news of Jenkins' death broke, a social media firestorm erupted, with some people suggesting Jenkins fell victim to foul play. Andrew Holmes, a community activist and crisis responder, asked people on social media to stop spreading misinformation in the case. He said if someone thinks they have evidence, they should go to police directly. Authorities said they released the surveillance footage to Jenkins' mother and to the Cook County Medical Examiner's Office, which requested the material. Autopsy and toxicology results are pending.